Primero Industries India, which is a part of Primero Group of Companies Headquartered in Australia. Primero Group is engaged in design, development, manufacture and supply of highly innovative, architecturally inspiring and future oriented product solutions for both Interior and Exterior building applications. The Indian office of Primero Industries is responsible for Marketing, Supply and Service its complete range of products in South Asian and Eastern European markets. Primero offers a wide range of visually and functionally appealing product solutions for both framed and frameless glass systems. The avant-garde solutions that are offered by the company are precise engineered with superior quality raw materials, keeping in mind the requirements of the future ready buildings. J.R.S.Export is manufacturer and exporters of brass builder hardware, brass lever latches, mongery items, black antique, lever lock set, brass cabinet plates, drop handles, brass pull handles, brass door knockers, brass finger plate, brass knobs, hinges, aluminium fittings, iron fitings, stainless steel builder hardware, etc. Manufacturer and exporter of brass door handles. Manufacturers & exporters of door handles. 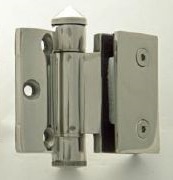 Manufacturer and exporter of brass builder hardware brass door fittings such as brass door handles. Manufacturer and exporters of brass door handles such as lever handles, plate handles, cabinet handles, forged handles. Manfuacturer and exporters of brass door handles.